War amputees soccer team. Murray’s Dream Team is a football team entirely made up of players with one leg. 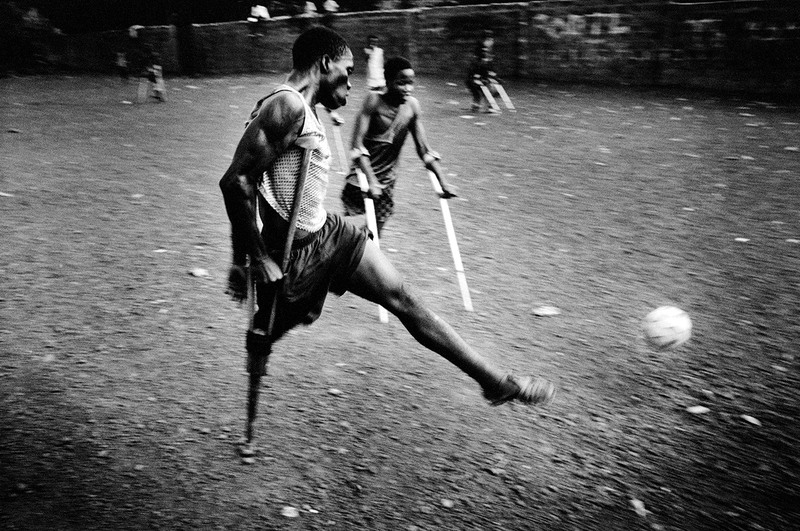 This soccer team was established in February 2001 and is made up of 22 players, all residents of Murray Town Camp for Amputees in Freetown. Most of the players were amputated by roaming rebels with machetes and handsaws. Their powerful football skills transform them into true athletes. A player kicks the ball during the game. June 2002. • What is the subject of this photograph? What does the photographer want you to notice?